Once you decide you need to purchase life insurance, what is your first step? 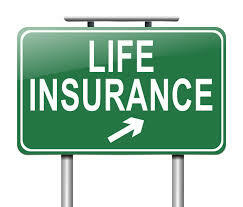 Several years ago, the only way to buy life insurance was to find an insurance agent and ask for quotes. Did he work for one company? Probably. Did he offer you the best price? Maybe. Did he try and sell you whole life insurance? Most likely. Today, litewith the internet at our finger tips, we have the ability to see quotes and plans fromrally hundreds of life insurance companies, before we ever talk to a commission hungry agent. So what are the steps in how to buy life insurance? With a life insurance purchase, there are two main questions: how much do I need and what type should I buy. A basic rule of thumb is 10-15 times your annual salary. That’s simple enough. Another approach is to make a list of financial obligations that your family would have if you died tomorrow, and then add them up. Most of the time when we go through this exercise with a client we end up in the 10-15 times salary range. There are two major types of life insurance: term and permanent. For most families and individuals age 20 to 60, term is usually where we start. Term buys you the most amount of insurance for the least amount of money right now. When you decide you might want to buy life insurance, go to www.findaterm.com and use our quote engine to look at the prices charged by many different top companies. This will give you a good idea of how much life insurance should really cost for your age, health status and term desired. Next, send us an inquiry either through the website or by phone. We will help you determine an affordable plan that works best for you, with no pressure or obligation. ‹ How Much Life Insurance Do I Need?